According to Antiques Trade Gazette, a vase identical to the famous "Bainbridge vase" (auctioned for 43 million pounds in 2010), will soon be on sale at Sotheby's Hong Kong. Nicknamed "Yamanaka", this Chinese reticulated porcelain vase has remained in the hands of a private Japanese collector since 1924 and has never been presented in an auction house before. The name "Yamanaka" comes from the firm Yamanaka & Co, a company founded in 1865, known for bringing artefacts from China to London galleries as well as to the United States. The vase also made a brief appearance at the Yamanaka exhibition in 1905, held in New York, before joining the private collection of its long-time owner. The Yamanaka is said to be the twin of the famous "Bainbridge Vase", a sensational piece of porcelain that passed under the hammer of the English auctioneer Bainbridge in November 2010 and which, after a bid of 43 million pounds, became the most expensive Chinese work of art in the world. Following a payment problem, the transaction was never finalised, and the Bainbridge vase wasn’t sold until 2013 for half of its value, about 20-25 million pounds. 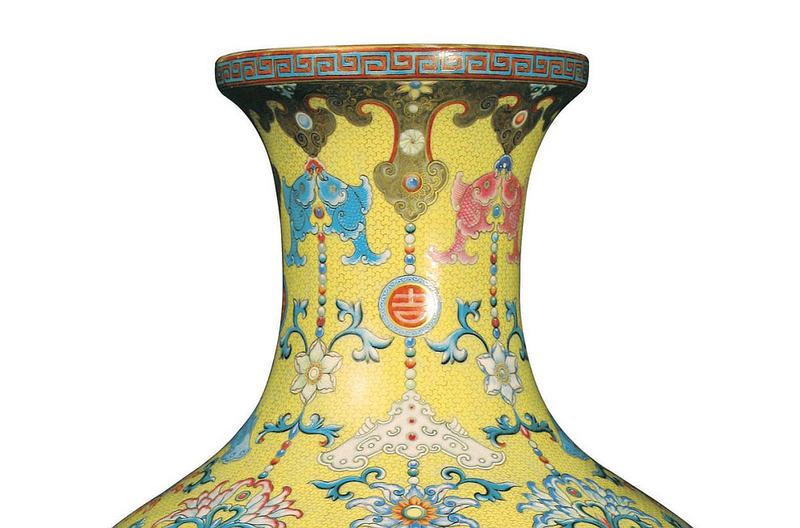 This year, Sotheby's Hong Kong will take the reins and offer a vase identical (with some details) to its predecessor. These so-called "double-walled" enamelled vases have Yangcai decorations (historically classed under the Rose Family palette) and are among the most complex porcelains ever made by the imperial manufactory of Jingdezhen. Designed for Emperor Qianlong (1736-1795), these high-flying handicrafts have a reticulated porcelain body adorned with four discs inspired by the Rococo spirit. 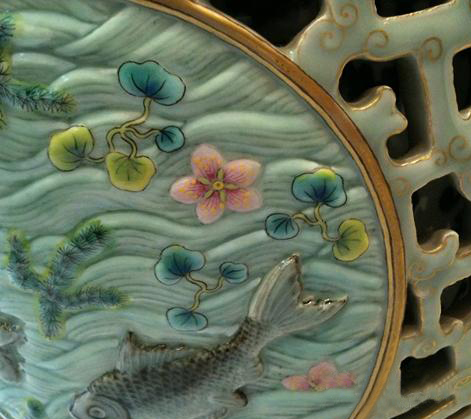 A pair of fish is on each corner of the vase, while a blue and white inner vase is hidden under the mesh of water-green porcelain. Aside from some dissimilarities in colour and floral patterns, the Yamanaka vase is identical to the Bainbridge vase. Sotheby's has not yet decided on the estimate of the object, and the date of the sale is not yet known to the public. 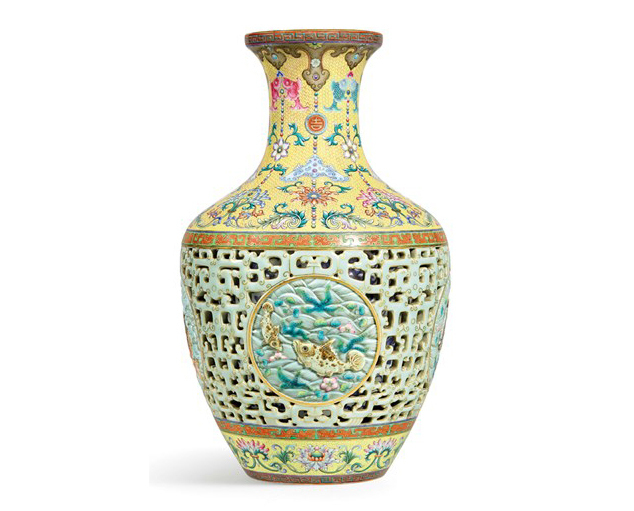 If the feat of selling the Bainbridge vase was in tune with the rise of Chinese art in the auction world, the craze of collectors is not lacking, and Chinese porcelain is still the subject of magnificent sales. With the sale of the Rose Family Vase last June in mind, (with a final price of 16.2 million euros) can we expect a sales record for the masterpiece Yamanaka coming up?